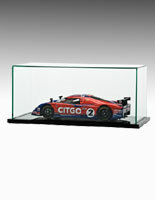 This Car Display Case Can Hold Many Size or Scale Model Cars and Trucks! 1:18, 1:25, 1:48 and 1:72 Scale Models Will Fit in This Versatile Case! 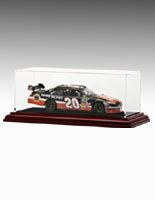 This Car Display Case Is In-Stock Now for Immediate Ordering! Car display case can be stacked (5) units high for multiple miniatures. Versatile size can host 1:18, 1:32, 1:48 and 1:72 scale acrylic and diecast models. 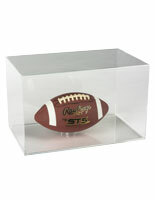 Car display case is manufactured from Injection-molded polystyrene as an affordable alternative to acrylic. Top lifts off with no hinges or latches for easy access. 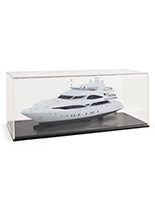 This car display case for 1:18 and 1:25 replicas as well as 1:48 and 1:72 sizes is a larger showcase for planes and tanks or multiple small vehicles. 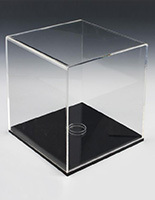 Diecast or acrylic models can now be exhibited in groups with this stackable unit. 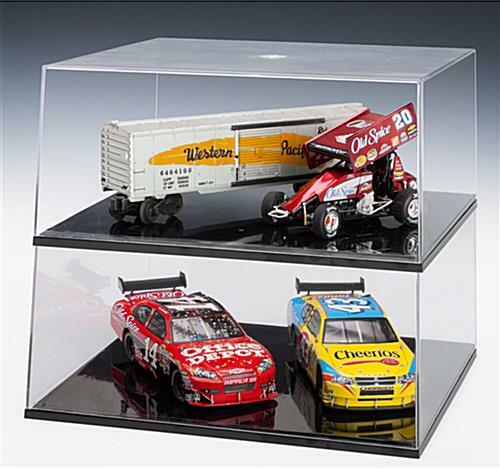 A car display case that protects collectibles from dust and curious fingers is optimal for hobby shops and trophy rooms alike. 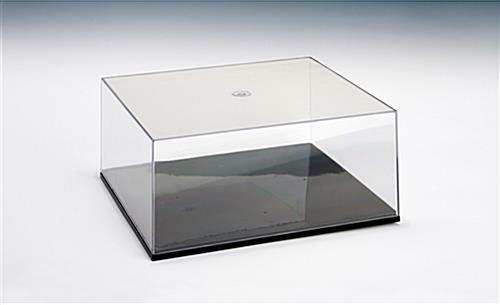 This product is made from light-weight and clear injected polystyrene and has an unassuming black plastic base which will not detract attention from the acrylic or diecast scale models. 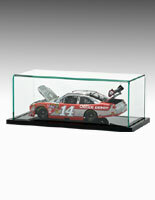 A car display case that is stackable is great for exhibiting pieces within a series. 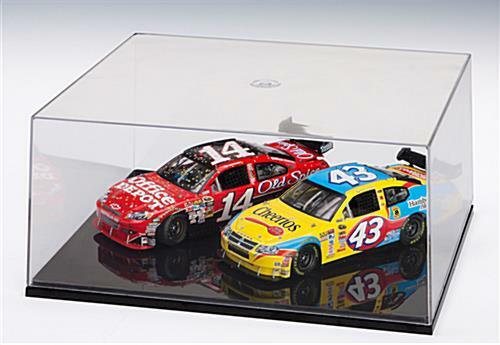 Nascar® and Sprint Cup® vehicles are continually evolving, and there are always more and more acrylic or diecast models of the new vehicles. 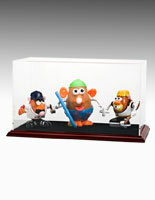 A tabletop grandstand, car display case is the economical way to protect and showoff a growing collection. Each unit is sold separately, but starting at just 4 pieces the price is scaled back for group ordering. This plastic hobby showcase, also known as a car display for auto replicas, can house much more than just automobiles. The kit offered here is optimal for showing diecast and acrylic scaled models of trains, planes, tanks, helicopters, Nascar® Sprint Cup® and Pixar® replicas. 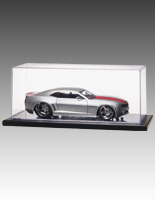 This car display case that is functional, affordable and stackable is a great addition to any auto dealership, trophy room or craft shop and makes a great gift for the avid collector! 12.6" x 5.8" x 11.1"
12.4" x 5.4" x 10.8"
12" x 5" x 11"